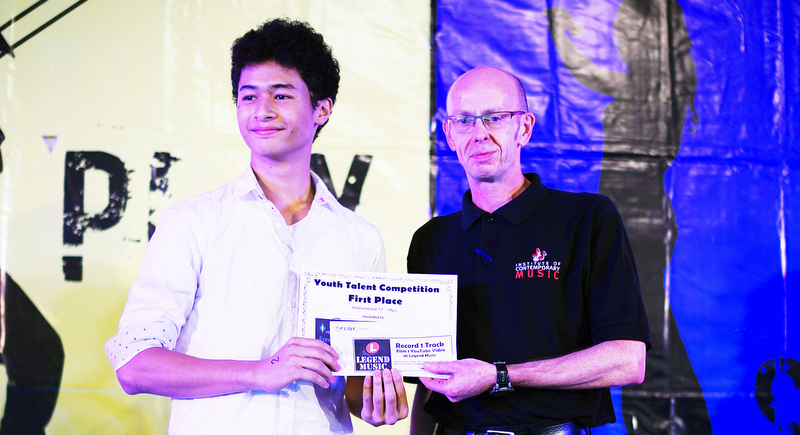 The Youth Talent Competition 2016 took place on December 4 at Boat Lagoon’s Whitehouse Marquee. Forty contestants aged between eight and 18 competed in three categories to see who would take home their share of the fantastic prizes on offer. Senior Vocals winners from left: Julianna, Andrea and Kusum. Chanon Cserepy gets his first place prizes from Michael McCormick. Instrumentalist India Wilson came second. 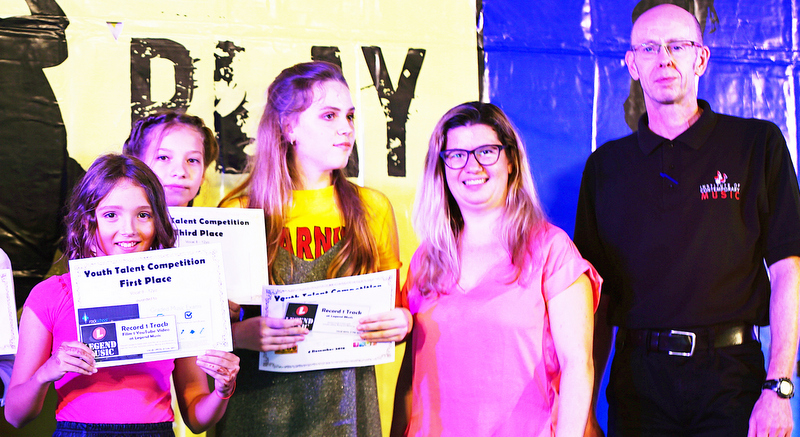 Junior Vocals winners Sasha, Vitalina and Dasha with Michael McCormick from Rockschool UK. 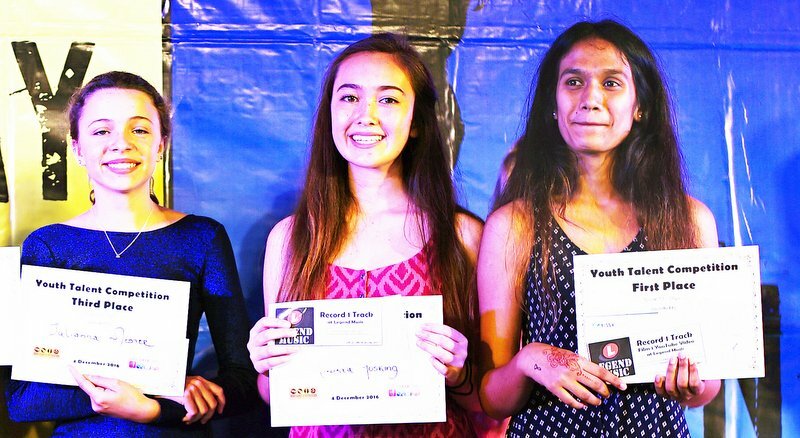 In each category, contestants that came first won B5,000 in cash, studio recording and video production, and Rockschool UK vouchers. The second placed contestants won B3,000 in cash and studio recording time, whilst the third placed contestants won B2,000 in cash. Exceptional Performance and Most Promising Performance awards were given to an additional five contestants. After three and a half hours of fierce competition, while the scores were tallied and the judges had final debates, the crowd was kept entertained by a host of special performances. These included vocal performances by adult choir Phuket Aloud, the PAPA Senior Vocal Group and individual performances by four of the Phuket Academy of Performing Arts’ youngest students, who stole the hearts of all in attendance. With an Exceptional Performance award going to Tamino Lockenberg and Most Promising Performance Awards in this category going to Bonnie Desmond and Olivia Pulaski. With an Exceptional Performance award going to Morgane Mahler and a Most Promising Performer award handed to Lilyjane Mauraux Galle. The invited special performers were 5-year-old Morgan Chettou singing I love Rock ‘n Roll, 6-year-old Alia Mackay singing Hideaway, 7-year-old Bella Yongsakul singing Count on Me and 8-year-old Celia de la Baume playing Piano. All of the cash prizes were sponsored by UWC Thailand. Music and video production prizes were sponsored by Legend Music Recording Studio. Rockschool UK sponsored exam vouchers for the winners. Boat Lagoon sponsored the venue and sound. Class Act Media were the event’s official media partner. 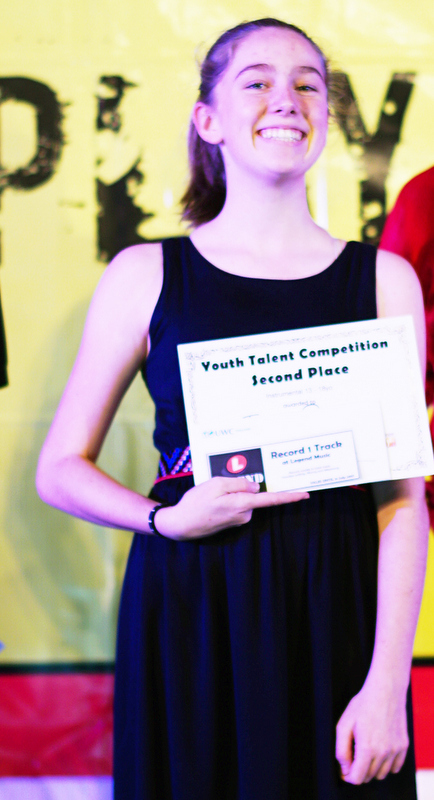 Additional prizes were sponsored by the Phuket Academy of Performing Arts and Skyla’s Surf and SUP Club.